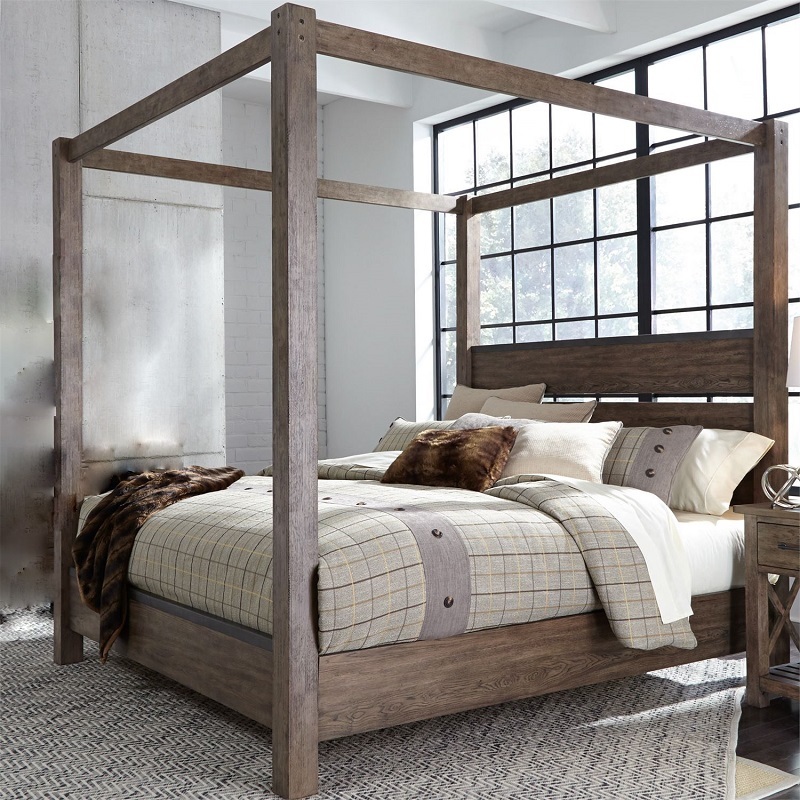 Nothing says classic quite as elegantly as a canopy bed with solid panel headboard with metal trim. The Sonoma Road Bed is at once regal and rustic. Matching nightstand accompanies the queen bed.